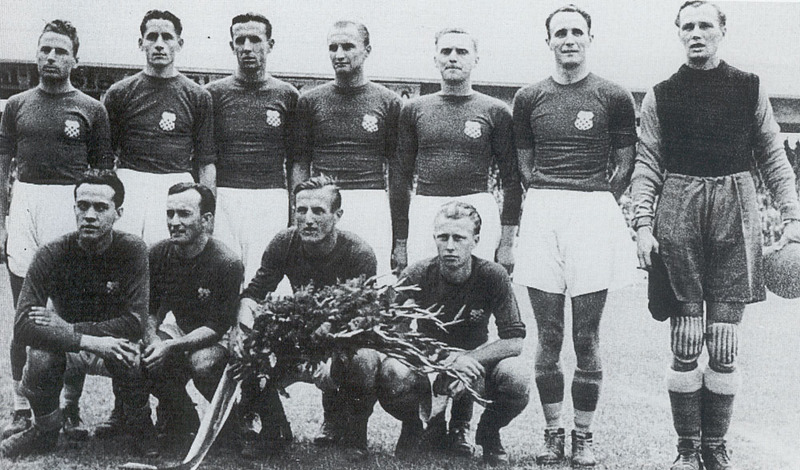 The first picture the Croatian National Team of 7 September 1941. in Bratislava against Slovakia 1:1 (0:0). Standing from left to right: Gustav Lechner, K. Pukšec, Ivan "Oskar" Jazbinšek, Franjo Wölfl, August Lešnik, Ernest Dubac, Franjo Glaser, squatting: Milan Antolković, Mirko Kokotović, Miroslav Brozović and Slavko Beda. Modrić should be in first team now, over Asanović, and Rakitić, Perisić and Mandzukić should all be in reserves. I’d even consider Perisić for first team over Šurjak. I agree with all except Perišić being in the first team. I would wait a little more for him. 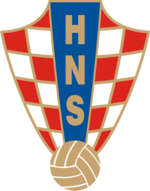 Another thing, since there’s no RB in this team, I propose Darijo Srna to first team over Jazbinšek. 130 caps, captain for 7 years, one of the best full backs in the world in his prime. 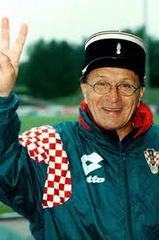 Jazbinšek is probably the most replaceable person in the team since he could only play CB and wasn’t a huge figure in the national team like Bilić was in 98. In those years defenders plays as full back, a mix between SB and CB.